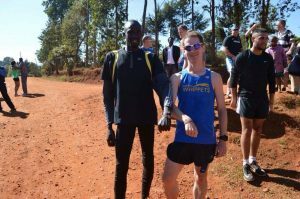 Out of all the days I spent in Kenya, none seemed as exciting as heading to Kamariny Track to watch Tuesday’s speed workout. 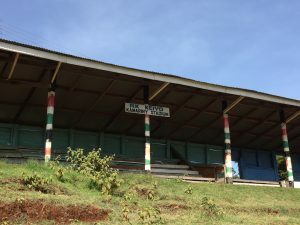 Perhaps one of the most famous in the world, Kamariny Track looks quite different from other tracks used by elite athletes. Made entirely of the red dirt that encompasses Kenya, this track measures 401 meters long and is free for public use. Different types of trees, such as Acacia, worn out benches and government property all surround this modest track. It also feels fairly different than most all-weather running tracks. 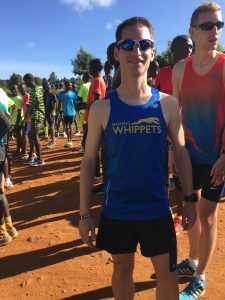 If you don’t mind kicking up a little dirt during a track session, running on this surface feels much softer than many of the other tracks around the world. Although we saw many athletes ranging from half-milers to marathoners, the track seemed a little bit empty due to the Olympics. Many runners took off during this time for family and resting. 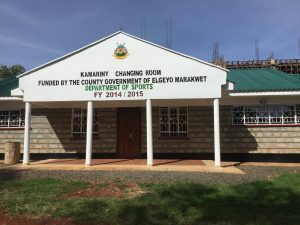 As we would find out from visiting with elite athletes in top form, many will leave their hometown to train for months in towns such as Iten and Kaptagat. 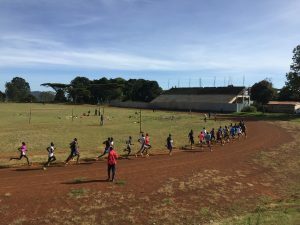 After our visit at the Kamariny Track we headed to a training camp to witness life as an elite Kenyan runner. The camp we visited sat right outside Kaminary Track. Many of the athletes had just finished their workouts and were waiting for tea. As athletes drew washing water from a well, we sat outside for a few minutes talking with the coach of the training camp. All his athletes were sharing quarters in a few different houses. Maize surrounded the farm for the sole purpose of making the staple energy food called ugali. Some connection with the outside world existed in the form of a radio and television. Mostly newspaper clippings of past winnings, like Eliud Kipchoge’s recent Olympic Gold, covered the walls for inspiration. 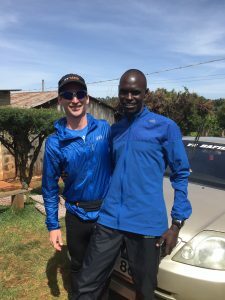 While visiting I met 2016 Frankfurt Marathon champion, Mark Korir. Later in the afternoon we had a speed workout of our own near St. Patrick’s High School. 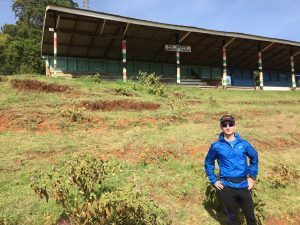 The coach for the Kenya Experience, Hugo van den Broek, showed us a hill called Helen. Helen was a champion and her house sat at the bottom of this hill. Athletes aptly decided to name it “Helen’s Hill”. The hill itself was no joke, although I had seen worse in the forest. Our workout consisted of 10 repeats varying from around 20 seconds to a full minute with recovery in-between. The workout challenged us, but made us all stronger. I never want to hear any of my New York friends complain about repetitions on Harlem or Cat Hill in Central Park. 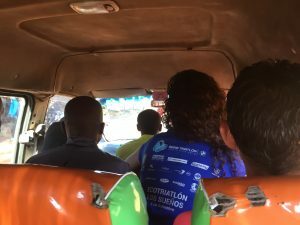 Inspired from Tuesday’s events, our group decided to take part in the famed Kenyan fartlek two days later. 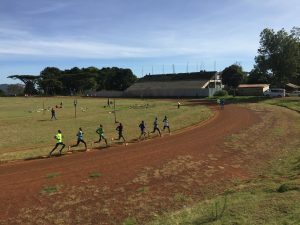 Fartlek, meaning speed play, is a staple component in training programs for many east Africans. Participating runners will arrive at a spot, “meeting point”, to begin. This exercise varies from 1:00 of fast running with 1:00 of jogging to 3:00 of fast running with 1:00 of jogging. It’s referred to as 1 on 1 off, 2 on 1 off, 3 on 1 off, etc. Depending on the length, runners typically run 12 to 25 repeats during a training session. 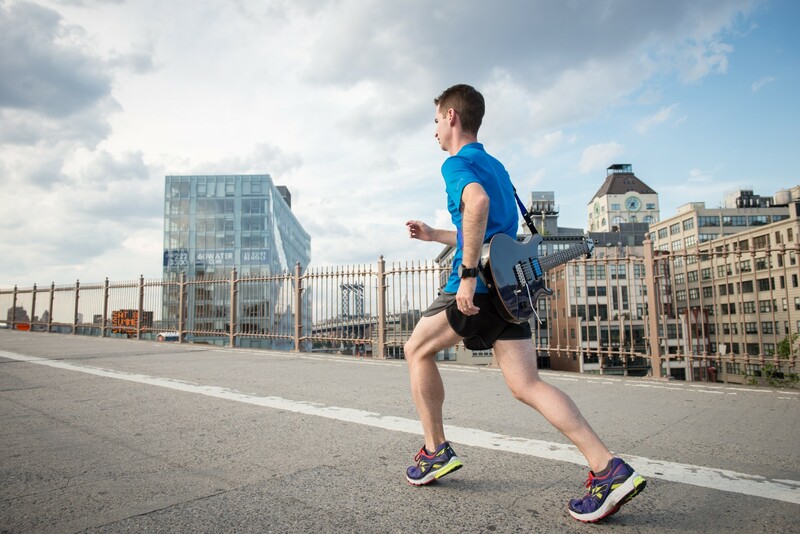 When I began this fartlek it felt like a New York Road Runner’s race. I had a tough time distinguishing between the fast running and the jogging! The first 15 minutes felt more like a progression run for me until I caught up with a group. Funny enough, many athletes attending the workout didn’t know how many times on and off as well. One of our guide pacers, David, went with me and we pushed to catch a group of runners. Some of the locals recognized me from playing at church. I heard that the keyboardist I played with participated in the workout as well. We finished strong up the final uphill at close to 8,000 feet above sea level.